I was one of the 52,020 people in attendance at the 30th annual WWE Royal Rumble at the Alamodome in my hometown of San Antonio, Texas this past Sunday night (following an excellent 3-day excursion through PAX South 2017), and overall the show was very entertaining with a few surprises. One pleasant surprise was the method of which some WWE Superstars made their way to the ring when their number in the Royal Rumble match came up. I probably should have expected this due to the size of the Alamodome compared to other, smaller facilities that have hosted the Rumble in the past (plus the distance of the ramp from the main stage to the squared-circle. 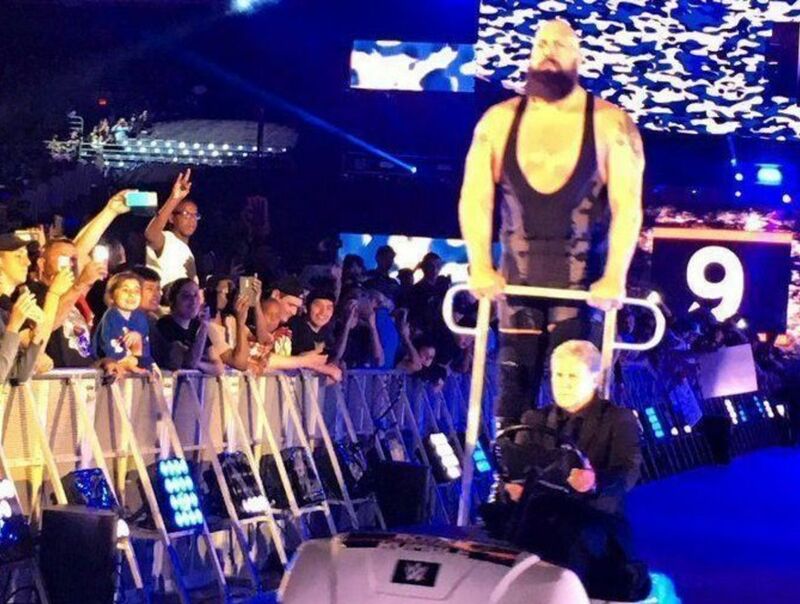 WWE resolved this issue by transporting the larger Rumble participants on an ATV outfitted with a handle, and be speedily driven to the ring. If you watched this on the WWE Network (or pay-per-view, for SOME reason), you missed this glorious act of practical comedy as the live cameras only caught the each superstar coming out onto the stage, then it’d cut away cut away until you saw them again at ringside. Next Next post: Now You Can Watch EVERY DAY from Groundhog Day…AT THE SAME TIME! !